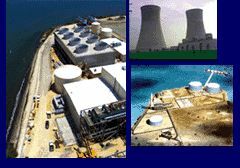 In 1984 DCR was incorporated to provide the much-needed engineering services for the new power generators. Because of the lack of construction companies with experience in building lump sum, small generating stations we quickly became involved as construction contractors as well as engineers during this boom period of the 80s. As we met the declining market of the 1990s we turned our attention back to engineering and rolled back our construction arm. Using our past construction experience we were ideally postured to provide construction management for heavy industrial and power projects, district heating systems, telecommunications and electric and gas transmission systems. We were also the perfect choice to perform failure analysis as industry experts for owners, sureties and manufacturers. Now DCR E&C specializes in Owner's Representation during all phases of project development and execution with full dedication to the power industry. We have provided services for over 100 fossil power projects of all types including hydroelectric, biomass, coal and gas fired stations utilizing all cycle types and forms of combustion. Today we also offer construction management services for Owners that wish to "general" their own projects. We also, continue to offer construction service for special Owner projects outside the EPC scope of work for domestic as well as overseas projects. And of course we also continue to provide Owner's Representatives to manage EPC contracts for the Owner from preliminary engineering and conceptual design to completion. With offices in the continental USA and Southeast Asia we are able to provide these services worldwide. to the Owner's interests and success. © 2006 DCR Engineers & Constructors - All rights reserved.